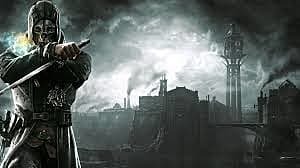 Dishonored was the new IP that took the stealth genre by storm in 2012. 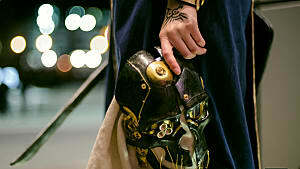 Gamers flocked to it with its watercolor art and its dark steampunk world. 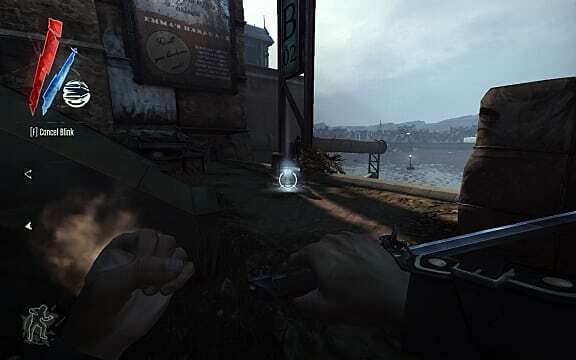 Dishonored gave choice to the user, with its assortment of tools and powers. 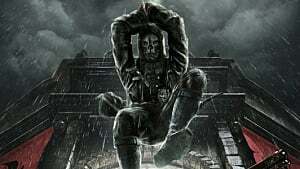 Arkane Studios, the game's developers, highlighted their destructive capabilities, but have ignored what could be the most important feature of Dishonored's stealth design: it's fluid movement. With environmental interaction and movement a core part of the stealth genre, Dishonored was able to make sneaking past guards fast and exciting. In any true stealth game, players should be able to fully avoid their adversaries if they so wish. 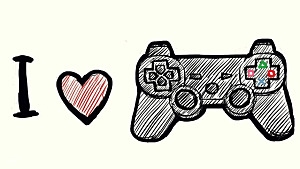 In most games, this either means using tools to distract your enemies or learning complicated guard patterns. 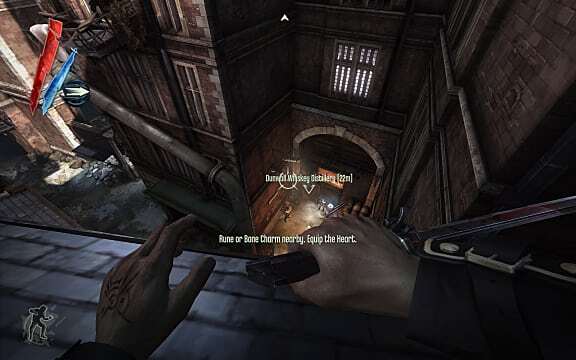 Dishonored, however, provides players the ability to fully navigate around the enemy, hiding on the rooftops or in shadowy crevices around Dunwall. Using the Blink or Bend Time can allow you to even bypass the guards directly. It gives you options and encourages creativity and exploration. When handling a stealth game, building an environment that encourages creativity is essential and Dunwall provides that in spades. In the outdoors, guards can be avoided through the sewers and skylines. But when you move inside, things soon get claustrophobic and Corvo's stealth skills are truly tested. Pathways still exist, but they are tougher to use and navigate. You must teleport from bookshelf to chandelier, all the while making sure you don't fall into that intimidating group of thugs below. However, your other powers become much more useful, as Possession and Bend Time allow you to move past swarms of enemies without a fuss. These powers, in exchange for their usefulness, drain Mana extremely quickly, however, making them last resorts in a pinch. 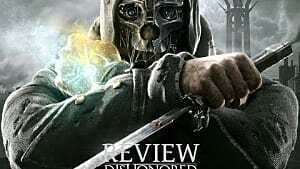 Dishonored allows you to learn these powers and exploit the guards however you see fit. Ignoring the powers themselves, Corvo is still agile, allowing players to speed through these enemies like a ninja. Combine this with Blink and Corvo can fly through the stage as either a force of justice or an angel of death. 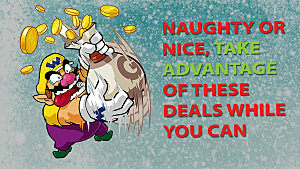 As he speeds through the world, enemies may catch glimpses of him, but with reasonable reaction times, you can vanish before they even know what happened. This is exhilarating compared to the slow methodical strategies of Hitman or Splinter Cell: Chaos Theory. 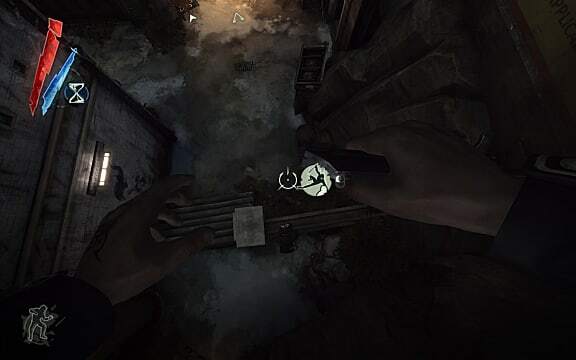 Dishonored has depth in its movement however, making the stealth and navigation more satisfying than Assassin's Creed. It balances speed and strategy to form an exhilarating experience. Combat in Dishonored is also more varied and fluid because of its movement system. You are darting around the battlefield, creating chaos and carnage in your wake. 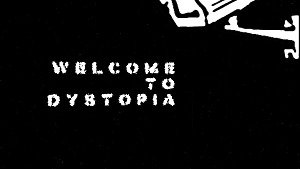 Using teleportation to flee across rooftops or freezing time to lay down traps creates a chaotic sense of freedom. This is enhanced by the brutality of each kill. 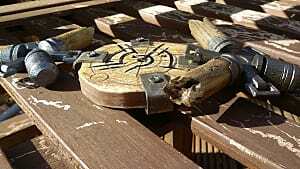 Enemies will lose life and limb, usually at the same time. With speed and brutality, it reinforces Corvo as a super-powered assassin while keeping the player from getting bored. 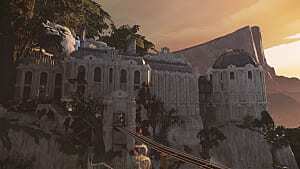 Dishonored builds itself on exploration and fluidity, with adventure on every corner. Creating the tense feeling of a stealth game while maintaining fluidity is no small feat. With a focus on freedom, Dishonored truly provides the player the opportunity to become a super-powered assassin.